Available Pack Type: 0.25, 0.5, 1, 15, 180 Kg. 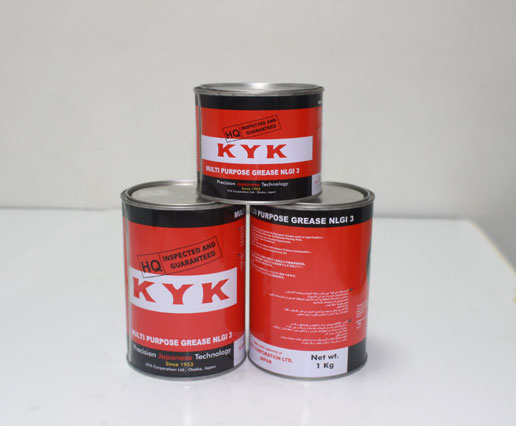 KYK NLGI 3 Grease is a MP 3 series High Performance Lithium Based Grease designed for a wide range of Industrial and Automotive applications to operate at higher-than-average temperatures. 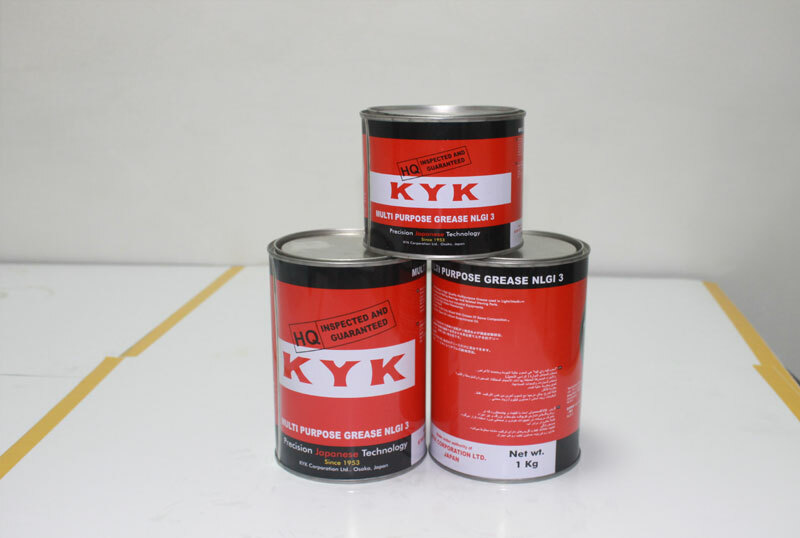 In co-operation with renowned lubricant manufacturers, we have developed lubricating Greases that are formulated with Lithium Based Thickeners and an ISO VG 150 mineral base stock to provide added protection against wear, rusting and water washouts. 1) Contains High pressure, anti-wear additives extremely high water resistance as well as rust inhibitors to provide protection in a variety of construction, agriculture and automotive applications. 2) Operates in continuous high ambient temperatures up to -30 / 190 C (-22 / 375 F). 3) Meets requirements for extended lubrication intervals of automotive applications. 4) Meets NLGI 3 certification. Handling and Storage: Store in a dry area away from heat and open flame. Avoid direct contact from sunlight. Do not reuse container after use. Caution: : Follow equipment manufacturer’s recommendations relating to lubrication frequencies. Failure in following correct lubrication practices may lead to premature equipment failure.